Well known teacher and pianist Tim Plait has gone off to Germany leaving an educational and performance vacancy in Kimberley. Geoffry Haynes has recently relocated from Edmonton to Kimberley and will be stepping into to teach piano, work with local church music groups and the Bissett Singers. Geoffrey will be performing regularly with THE JAZZ COUNCIL. His special interests include Jazz, Classical and Popular styles of music with an emphasis on students abilities to improvise in a number of musical settings. Music Diploma from Grant MacEwan College (now University). He has training in Music Therapy and the Dalcroze Eurhythmics teaching method. 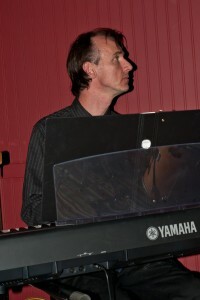 Geoffrey will be working in collaboration with fellow pianist and teacher Arne Sahlen and is available for lessons either in the student’s home or his studio in Kimberley. To arrange lessons Geoffrey may be contact by phone 250-432-9544 or by email at geoffrey3701@gmail.com.